A year ends...and a new Rotary Year begins. Our new President, Brian Brescia, leads our Club under Rotary's Theme Banner for 2018/19 and Rotary International President's challenge - "Be the Inspiration". 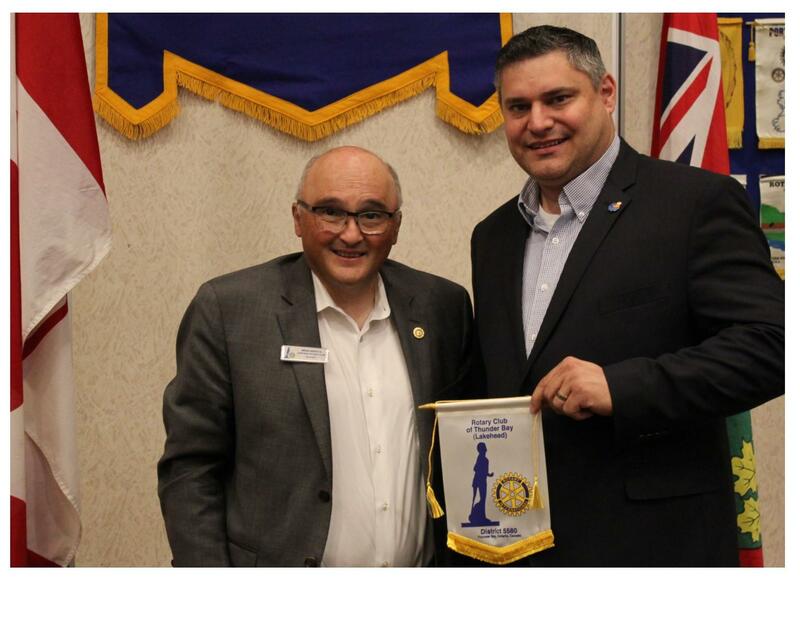 President Brian welcomes our new District Governor, Blaine Johnson, and presents him with our Club's banner.